Imagine a hypothetical business in today’s world. It just focuses the work and genuine progress. They spend nothing on ads, no news, but most importantly absolutely no presence on social media! Will our audiences today trust a brand/business like that? We think not. Corporate Videos content and your presence of social media are directly proportional to each other. Most importantly is there a video that sums your whole endeavour up in a recallable little story that connects with the target audience? When a brand needs to tell a story in a very precise and concise way, corporate videos are produced. These corporate films are made for a specific audience rather than the general public. There are several advantages that corporate videos bring with it. It may also include employee training or promotional video for a newly launched product or service. This form of communication with your target audience helps in increasing the company’s chances of achieving success. A brand should ensure that high-quality videos are reaching their potential customers as only such videos can leave a high impact. The average length of a corporate video is supposed to be 3.5 minutes. (Fact) Therefore, a brand must hire a team of expert to carry on such a crucial task. Here’s a list of few advantages that will bring you closer to the world of corporate videos. Nobody minds a story. If hard-hitting facts and other information is presented in an interesting and entertaining way, it will definitely connect with your target audience. Such videos communicate the message as well as subtract the need for a commercial. This further works in favour of the brand. As commercials come with time restraints, corporate videos are flexible. But it should be timed well otherwise it can bore your audience. Try to cover everything under 5 minutes. Social media has brought a wave of effective marketing opportunities with it. As the power of sharing coming with social media, compelling content is distributed like anything. If the corporate film contains content that is persuasive enough, it can start discussions online. And once it starts garnering attention, then there’s no looking back. Viral content gets shared on social media widely. It is more like advertising without a charge! As audience today likes to buy things on recommendations, reviews also play a great role. Thus, a strong social media presence will help your brand grow a lot. When visuals and audio meet it creates a real-life experience. And we all know that visuals aren’t easy to forget and stays in the memory for a longer period of time. The corporate film is a combination of visuals and audio that can make the consumers feel about the product or the brand. Such an impact can be created with awesome production methods. If the consumer is presented with high-quality visuals and music that compliments the visuals well, then congratulations your job is done! If your efforts don’t turn into conversions, then all this is just a waste of time, money and human resources. In order to get your target audience to take an action, ensure that your corporate film has a powerful call-to-action. This will help in transferring more and more people to your website and increase traffic. 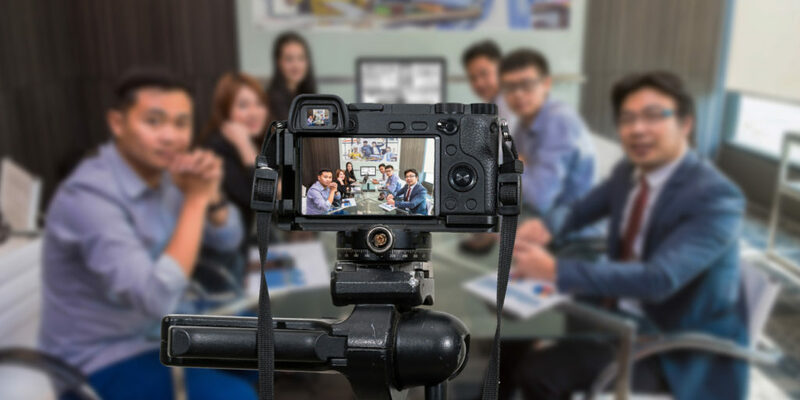 The most effective way to win the trust of your target audience through a corporate video is to present them some testimonials. Now, here’s the deal, you don’t have to make it look staged at all. In order to convince the target audience the corporate video should have honest opinions. If you are able to provide your audience with an effective testimonial the trust is established and you will influence your potential customer easily. Now that you are aware of some of the most effective advantages of corporate videos, you should work on the next step. Which is?To hire an expert video production agency, just like Namesake, to help you achieve all the desired goals. So that your corporate film makes your brand stand out completely.